After out trip to Italy last month, we were missing Italian food very much. And the sad part is, we did not have much time to visit an Italian restaurant. So today I decided why not try some recipe for lunch? 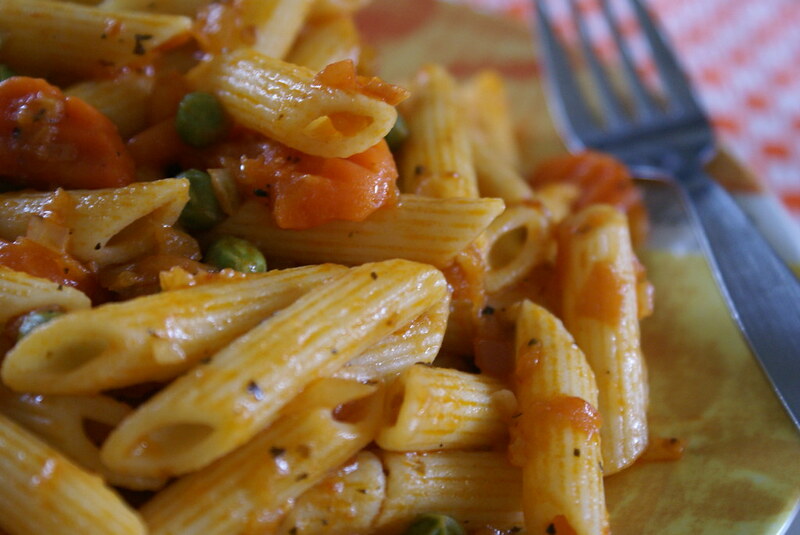 The original recipe just has tomato sauce with chilles and oregano, but I even added some peas, beans and carrots for added nutrients. 1. Heat oil in a deep wide pan and saute galic and onion till soft and fragrant. 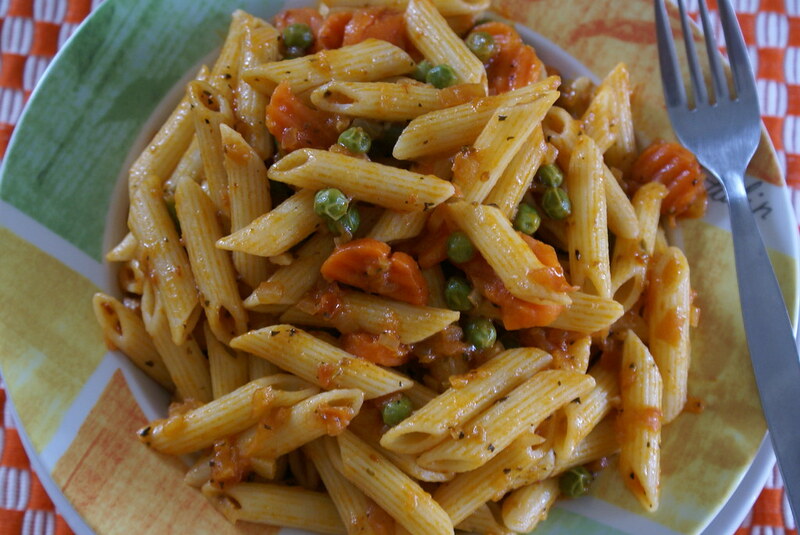 Add in tomatoes, tomato puree, salt, pepper, chilli flakes, basil and oregano and cook till tomatoes are soft and done. 2. 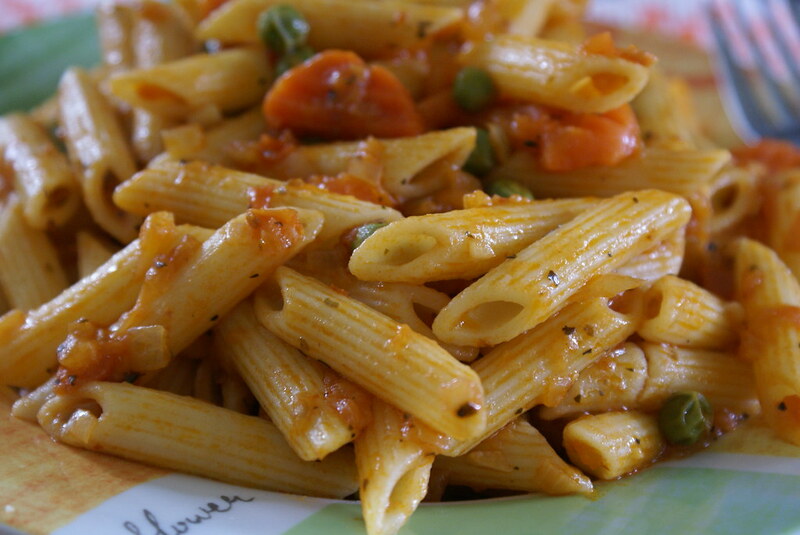 Add the veggies and penne and mix to coat well with sauce. Cover cook for 5-7 minutes and sprinkle chopped parsley. In short it was quick, warm, spicy, nutritious and yummy lunch! !